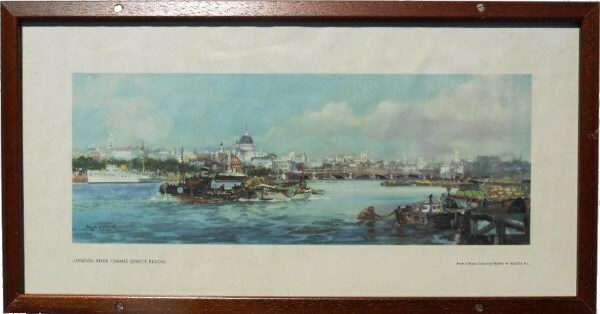 Lot 56 Carriage Print "RIVER THAMES, KING'S REACH, LONDON" by Frank H Mason R.I. from the LNER Post-War series issued around 1948. A view from Waterloo Bridge towards St Paul's. Slight marks.